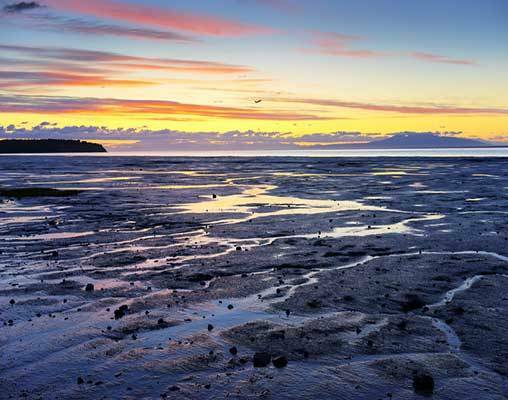 Your railroad and self-drive Alaska journey begins in Anchorage, where you can explore the city’s historical museums and gorgeous gardens and parks. The next morning you’ll depart on the Alaska Railroad for Denali National Park, where you can spot wildlife like bears, moose, and mountain goats on a bus tour, and also visit Mount McKinley, the tallest peak in North America. Your adventure continues on a train journey to Fairbanks, where you’ll have a day on your own to enjoy watersports, adventure tours, or historic and cultural activities in the city. From Fairbanks you’ll depart on the driving portion of your journey, making your way along the scenic Richardson Highway on your way to Valdez, also known as “Little Switzerland.” Here, you can spot orca whales and other wildlife and enjoy plenty of outdoor activities. From Valdez, you’ll take a ferry back to Anchorage, where your Alaskan adventure comes to an end. Arrive in Anchorage on your own and check in to the hotel. Spend the rest of the day exploring Anchorage's museums, gardens, parks, and restaurants. Overnight in Anchorage. Embark on a journey on the Alaska Railroad from Anchorage to Denali National Park. Relax and enjoy the scenery as you pass through vibrant fields of spruce and fireweed, sparkling salmon streams, and towering mountains. Overnight near Denali National Park entrance. 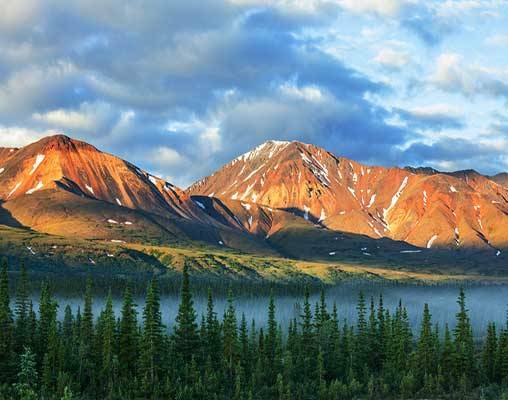 Take in Denali National Park's alpine tundra and snowy mountains on a 6-8 hour bus tour of the park, learning about the land and its history along the way. 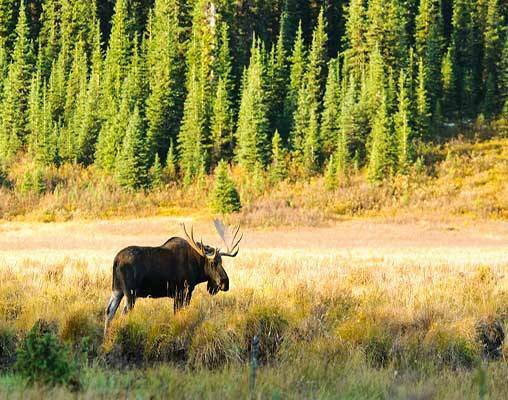 You'll see magnificent wildlife, such as bears and moose, and marvel at Mount McKinley, North America's tallest peak. In the afternoon, you'll take the Denali Star to Fairbanks, known as “Alaska's Golden Heart City,” for its energy and warmth, and often its beautiful displays of northern lights. Overnight in Fairbanks. 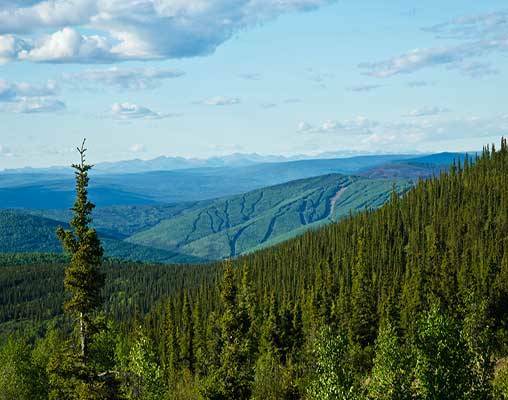 Enjoy a day on your own in Fairbanks, where you can visit the Museum of the North, the Morris Thompson Cultural Center, Pioneer Park, or the Trans-Alaska Pipeline. 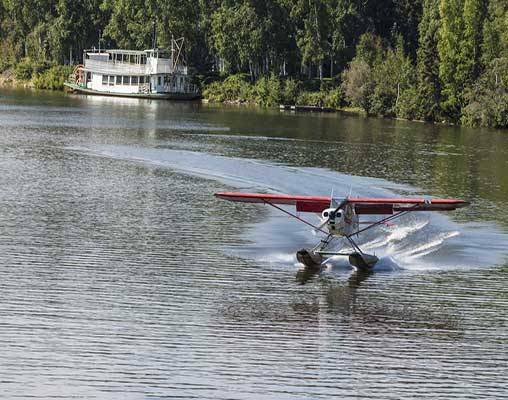 Visitors can also take wildlife tours, hike an array of trails, boat on the Chena River, or many other outdoor activities. You can also pick up your rental car today. Overnight in Fairbanks. 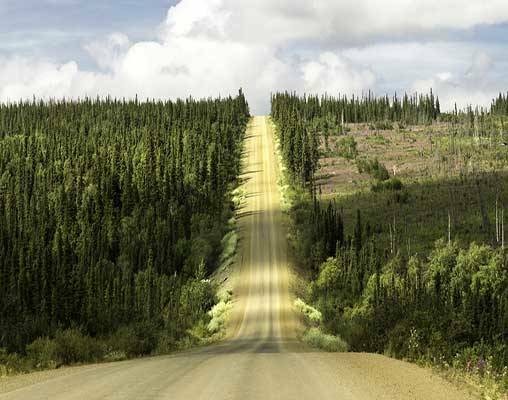 Today you'll embark on the driving portion of your Alaska adventure, taking the scenic Richardson Highway from Fairbanks to Valdez. You'll pass glaciers and drive along mountain ranges. The highway has two 100-mile sections designated as State Scenic Byways, so there are plenty of opportunities to pull over for photos. Overnight in Valdez. Surrounded by the Chugach Mountains and home to five glaciers, Valdez is known as “Little Switzerland” and is one of the prettiest places in Alaska. You can enjoy the town on your own through a boat cruise, kayaking, hiking, and a number of snow-depending activities like snowboarding and skiing. Valdez is one of the best places in Alaska to spot orca whales and harbor seals, as well as brown bears and seabirds. Overnight in Valdez. 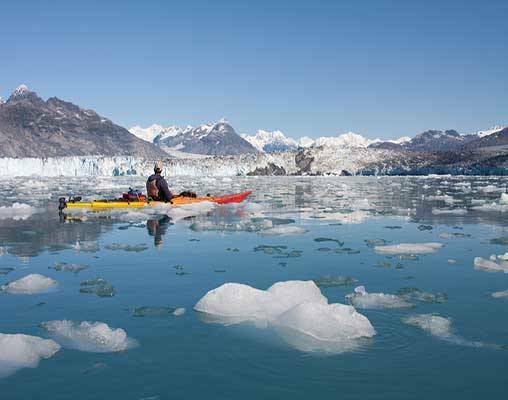 Today you'll board a ferry from Valdez to Whittier, passing towering icebergs and spotting wildlife along the journey. From Whittier, you'll drive to Anchorage and through the Anton Anderson Memorial Tunnel, the world's longest highway tunnel. Overnight in Anchorage. Check out of your hotel and transfer on own or via hotel shuttle to the airport. Hotels include Ramada Hotel, Anchorage; Denali Bluffs Hotel, Denali; La Quinta Inn & Suites, Fairbanks; and BW Valdez Harbor Inn or Mountain Sky, Valdez. Hotels include Sheraton Hotel, Anchorage; Grande Denali Lodge, Denali; Pike's Waterfront Hotel, Fairbanks; and BW Valdez Harbor Inn or Mountain Sky, Valdez. Click here to view testimonials for Alaska Circle Tour Rail & Car. We enjoyed each leg of our trip through the magnificent state of Alaska. One of the most enjoyable parts was the Alaskan Railroad, and for the most part, the accomodations were very nice. great trip and would recommend you to our friends witch we already did! Enter your details below if you would like to be notified when 2020 dates and prices are available for Alaska Circle Tour Rail & Car. Mid-size vehicle rental is included. Other vehicle options are available, contact your rail specialist for details. This program includes a ferry sailing. The 2019 ferry schedule is not expected until the end of 2018. In 2018 possible departures for this package were Wed, Fri, Sun. We will accept bookings for this program prior to schedule release, but reserve the right to change the itinerary for confirmed reservations after schedule release.